Here is my personal rating of the top ten F1 drivers of the 2017 season, taking into account their performances as well as the machinery that they had access to. For years almost no one has doubted that Lewis Hamilton's peaks are higher than anyone else's. This year he strung them together more regularly than perhaps he ever has done, certainly since his prodigious F1 debut campaign a decade ago. Clearly he relished his title battle with Sebastian Vettel and Ferrari as well as relished his focal point position in the post-Nico Rosberg Mercedes squad. 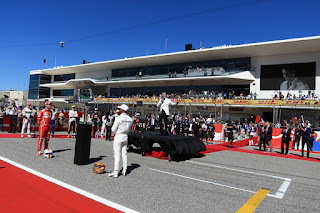 And it all had an impact where it matters – nine wins and 11 poles are the stuff of crushing championships as well as demonstrate his status as the year's default front-runner. Crushing is the adjective for many of his race wins as well, though in plenty (China, Spain, Spa, USA) he had to fight as well as use his wholly underrated brain power. But it was his qualifying that really set him apart – particularly important in a year wherein overtaking was tough. In Britain, Italy (in the wet) and Malaysia his Saturday efforts stunned even his closest engineers. He showed in his drive through the field in Brazil he's lost nothing of his well-honed racing instincts either. There were bum notes along the way. 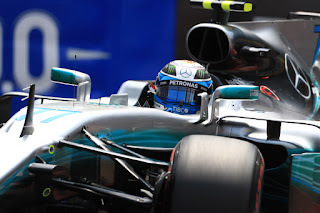 While the Mercedes was in Toto Wolff's words a "diva", equally in the year's first half when the Merc wouldn't get its tyres into range Lewis was less able to find a compromise than his team mate Valtteri Bottas, such as in Russia and Monaco as well as in qualifying in Austria and Hungary. He also binned it in Brazil's qualifying after the championship was wrapped up. Yet the fact is that Lewis was unflinching and fast in an intense title battle against a formidable driver and team foe, and when the championship hit its crucial phase Lewis reached for the stars – stepping well clear of Bottas and getting the best possible race results whether his car was on top or not. And it was his rival who wavered. It was likely Lewis's finest title. Little wonder plenty talk of the ever-enigmatic Englishman now finding a new equilibrium. 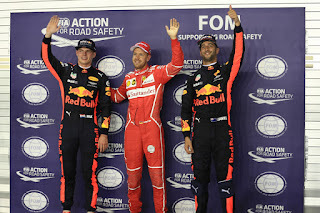 We always thought a Sebastian Vettel campaign could go one of two ways. This year, for the first time perhaps, it wandered off one of them. 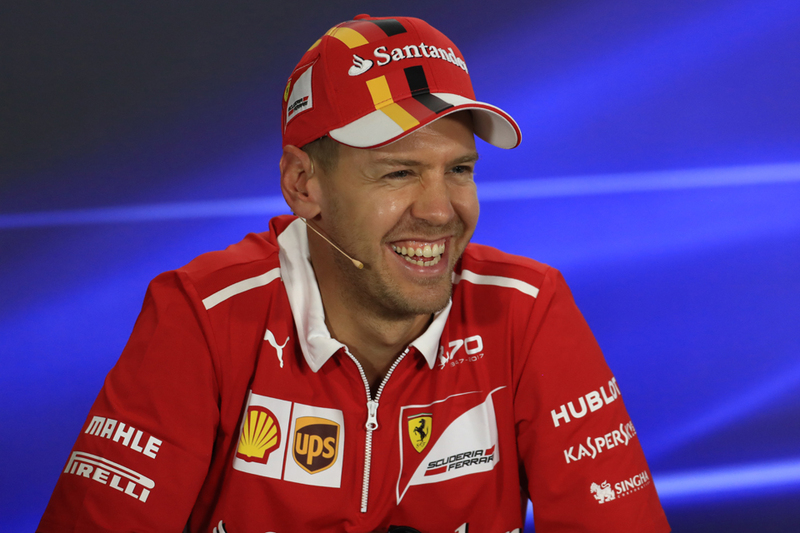 For the first two-thirds it looked classic Seb with the scent of a title, maximising final qualifying laps as if flicking a switch then maximising race results as if he is the puppeteer of the whole show. In Baku he lost his temper with consequences for his points and reputation, but at the time many wrote that off as an aberration. Come Singapore as he sat on pole for the race start his retaking of the championship lead looked inevitable, but we know what came next. 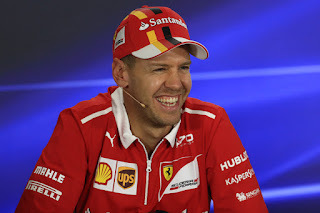 Yes Ferrari unreliability sealed his fate in following rounds but once the title was as good as gone ahead of time some calculated the points ceded in Baku and Singapore and it didn't look flattering for Seb. Particularly as he showed more misjudgement in Mexico's opening corners then rooted his tyres in Austin. But still his well-judged Brazil win was timely in reminding us what he'd spent the best part of the season doing – operating on a plateau as noted. 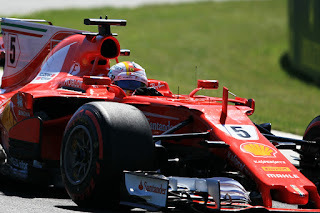 This was whether he was dominating at the front (Bahrain, Spain, Monaco and Brazil), nursing mechanical maladies (Hungary), chasing down foes (Australia, Russia and Austria) or coming through the pack (China, Canada, Azerbaijan and Mexico). It was straight from his Red Bull championship winning pomp. It's easy to forget also that he would likely have got two more triumphs early in the campaign without unfortunate safety car appearances. These ended his title chances early as much as any of his errors. It was, to use the euphemism, not a thriller in Abu Dhabi. The Yas Marina track lived up (or down) to his reputation and didn't allow much racing. But still some important things went on. Not least Renault bagging sixth in the constructors' table and the millions that come with it. 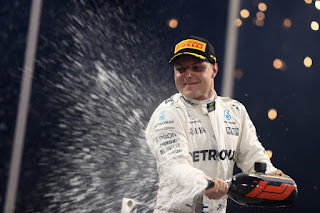 As well as victor Valtteri Bottas getting a boost heading into the off season. As expected the Mercedes were in a different race. 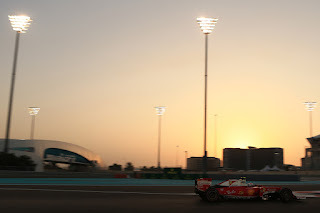 As expected in a Yas Marina race a lot hung on the start, and that didn't change the order. 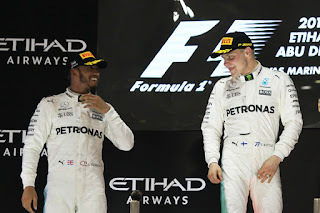 Poleman Valtteri Bottas led from his Mercedes team mate Lewis Hamilton. There wasn't much to be done afterwards. They finished just like that. Still it didn't appear mere formation flying from the Mercs. Lewis always seemed to be pushing and indeed Sebastian Vettel next up was left a whole 22 seconds adrift of the warring pair. More typical of this track it all reflected that cars struggle to get near each other. This concludes our evolution of video game storage infographic, we hope you enjoyed it. Five minutes free? Why not check out our favourite driving games and bike games? 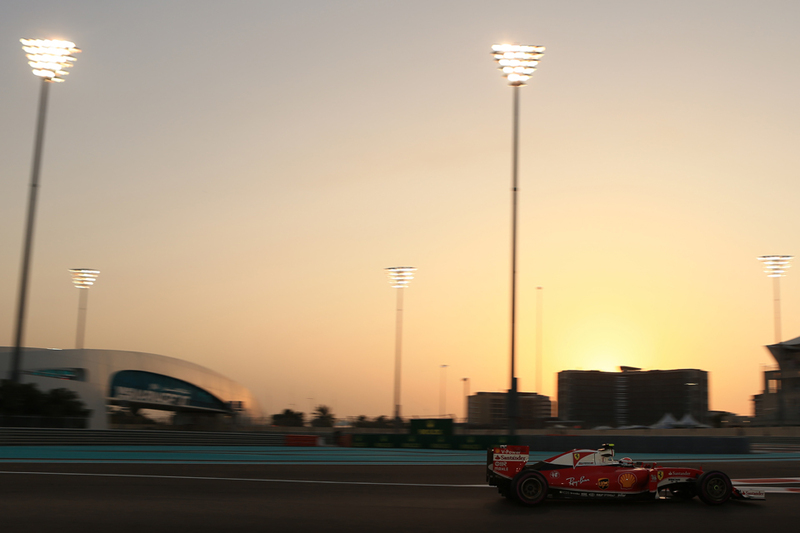 Abu Dhabi visits, on track at least, aren't known for thrills. And from an early point of this Yas Marina weekend it was clear that one source of potential thrill was taken away. Mercedes was on another level to the rest. But in the qualifying session we got a thrill. We thought Lewis Hamilton would be a step ahead even of the two Mercs. But the other Merc, that piloted by Valtteri Bottas, denied him pole position. 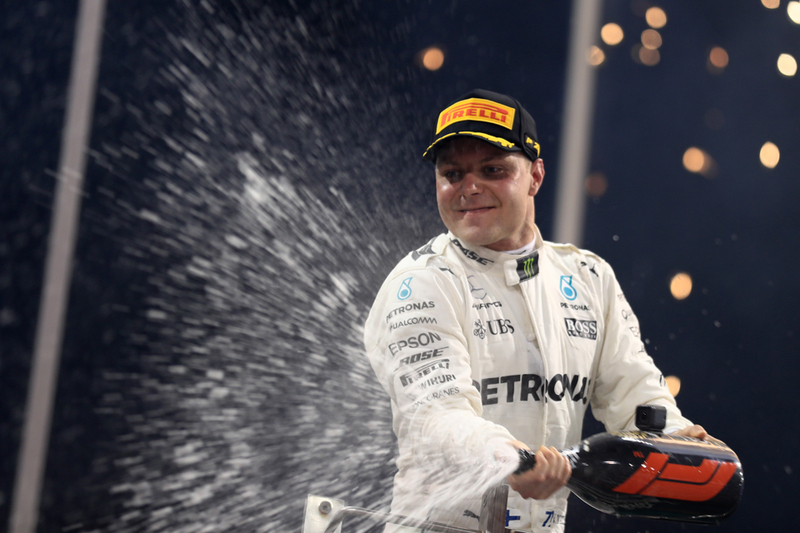 And Bottas had plenty to overcome. 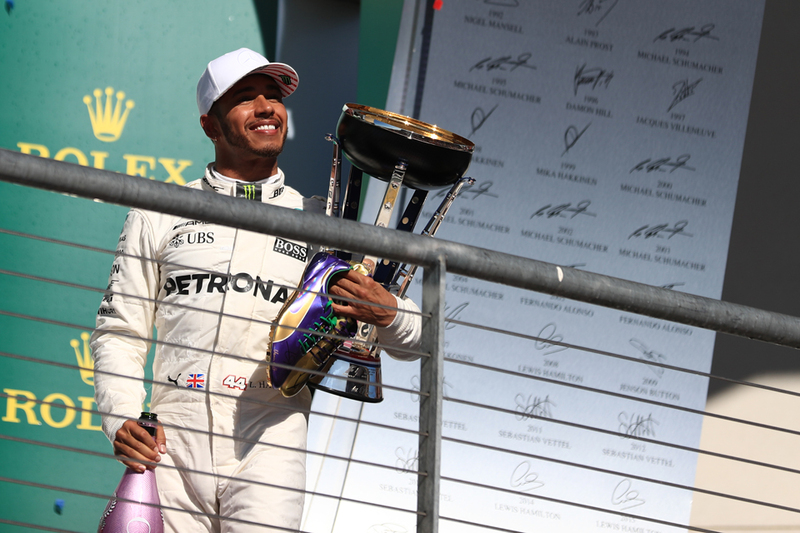 Lewis was self-admittedly wary of relenting with the title won after doing just that late in 2015, which was followed by him losing the subsequent one. Lewis had the machine to do it with too, his relatively fresh engine - a consequence of changing it after his Brazil qualifying crash - meant that he could run at full bean much more than most others. Plus Abu Dhabi is one of his happy hunting grounds. Abu Dhabi for our final round of the year is the polar opposite of the penultimate one in Brazil. If Interlagos is the itinerary's most wacky stop-off this at the Yas Marina circuit is the most standard. And just as was the case at the opposite end of the scale, this create problems but also opportunities for the F1 gambler. History is helpful - it tells us there are only two places to look for an Abu Dhabi pole and win. In eight F1 visits only two have not been won by Lewis Hamilton or Sebastian Vettel. And even if the previous wasn't this stark they'd still be the two clear favourites to be on top this weekend. Lewis can be got at 19/20 to triumph and Seb at 11/4 - and either looks good value. They're good bets for pole as well, and again history is on our side as Lewis and Seb between them have five from eight Yas Marina poles. Lewis can be backed at 5/7 to bag pole this time while Seb is at 9/2. 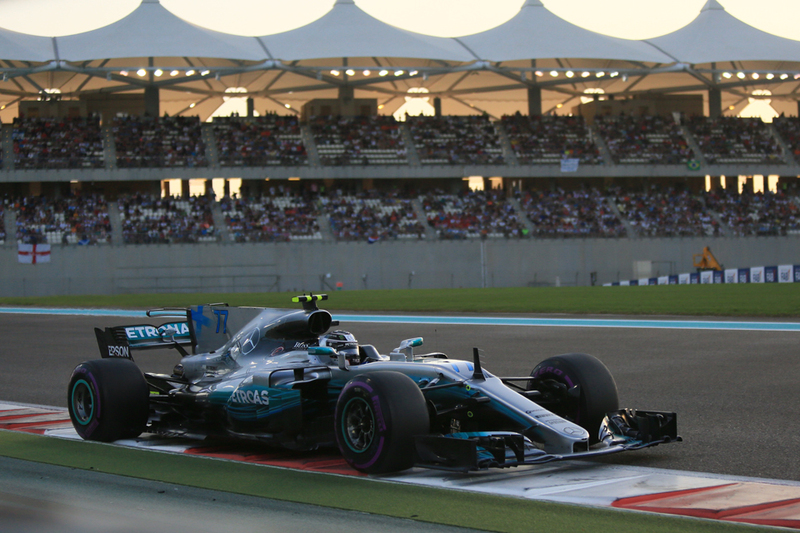 Given all this the rest may be fighting over third place at most, but if the Mercedes is to be strong as it was at Interlagos, and Abu Dhabi's high temperatures should suit the Merc too, then Valtteri Bottas looks reasonable value at 7/10 to finish on the podium. For the petrol heads who think they can easily tell apart their Hyundais from their Hondas, their Subarus from their Seats and the Peugeots from the Porsches, the ultimate test of knowledge is whether you can still tell these apart, simply by their Daytime Running Lights. Car leasing experts Select have created the quiz to test your prowess as a petrol head or to see if you'll crash and burn. You can play below. The sun goes down on another F1 campaign. And with this analogy it's appropriate that the final round is the Abu Dhabi Grand Prix - F1's first and so far only day-to-night event. And it's not only down to start time scheduling that the Yas Marina round is a world away from the previous one at Interlagos. If the Brazilian stop-off is modern F1's Bermuda Triangle Abu Dhabi's perhaps is its most standard. But there are parallels. Both tracks are two parts full throttle and one part incongruously twisty. 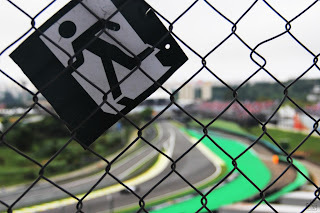 And if all (including Mercedes) entered the Interlagos weekend worried that the twisty bit would let Ferrari and Red Bull get ahead, it in fact set the pace. And did so pretty crushingly, even if circumstance kept it away from the top step of the podium. In this week's special episode, we get Mika Hakkinen to review the 2017 Formula 1 Season, his views on the current superstar drivers (Hamilton, Vettel, Verstappen, etc.) and what he believes the future of his Finnish compatriots (Bottas & Raikkonen) will be. Also, what does he make of Fernando Alonso's quest to be the 'world's best racer'? Apart from the current season, we discuss Hakkinen's career - his first win and what was his reaction when he lost most of his trophies to a house fire in 2008! Finally, is a McLaren team management role on Hakkinen's mind, and outside of Formula 1, who is his most challenging rival? Tune in! With some of F1's periodic wacky goings-on you may be forgiven for thinking we can never have seen the like before. Some of the goings-on in Interlagos got very wacky, not least Toro Rosso vs. Renault, and the possibility swirling that the latter may take its engines away from the former forthwith. But we had seen the like before, and the engines actually were taken away. And to some it will not be entirely a surprise that the culprit was Rene Arnoux. 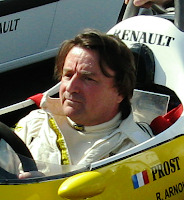 So for Motorsport Week I wrote about Rene Arnoux. But, frankly, there is never not a good time to write about Rene Arnoux. On one level it seemed so simple. Valtteri Bottas's Mercedes was starting this Brazilian Grand Prix on pole, but Sebastian Vettel's Ferrari next up would be happier in race conditions, particularly as the temperature had shot up since the cool of qualifying. It would be a matter of whether he could get by. Particularly too as Lewis Hamilton after his qualifying prang then his team replacing various engine bits would start his Merc from the pit lane. Vettel indeed got by Bottas off the line, not so much from a better launch but a better second phase - with less wheelspin - and sliding up the inside of the Merc at turn one. "Initially I had a very good getaway and then I had a bit of wheelspin and thought I'd missed my chance," Seb noted later. "I think Valtteri was struggling even more off the line so I had a chance to squeeze down the inside, I think I surprised him a bit." This was the basis of his victory. 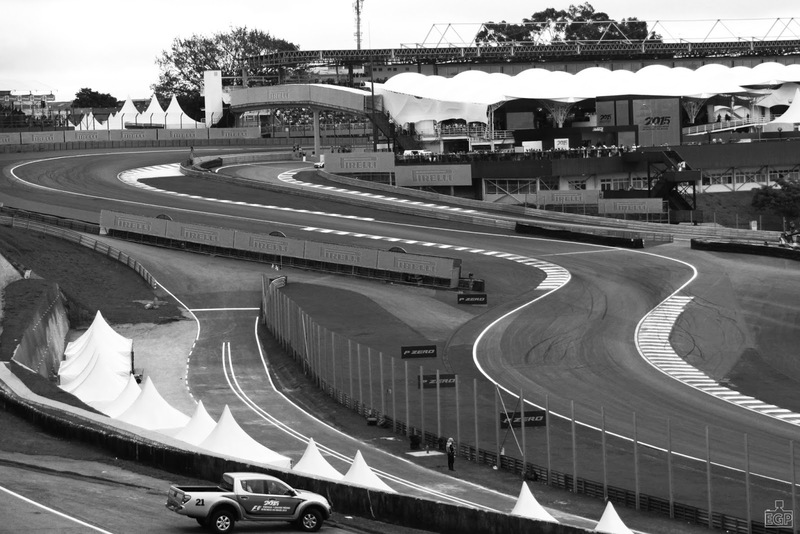 But also this is Interlagos. Things are rarely that simple here. Interlagos's reputation lives. The place where things happen - however unforeseen. Today's Brazilian Grand Prix qualifying session contained just the latest manifestation. Take the guy who has just claimed his latest drivers' title of four and barely missed a beat in doing so. The guy also that following practice was firm favourite for pole. Who has 72 of the things to his name. He only went and binned it in the opening seconds - after getting a swapper on at the fast Ferradura turn his Mercedes buried deep in the barriers. 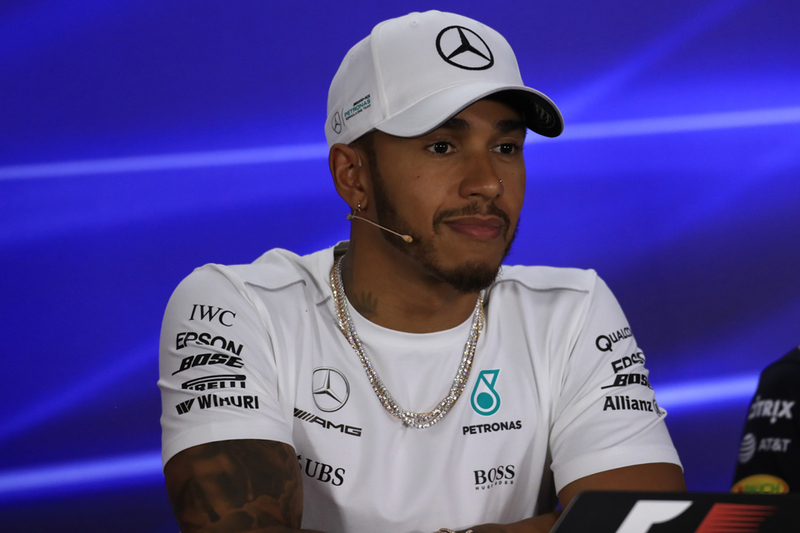 Thus Lewis Hamilton will start tomorrow's race from the back. Thus also qualifying almost immediately had its most potent protagonist removed. Lewis seemed sanguine afterwards, but equally wasn't full of explanation about what occurred. "It shows we're all human and things happen," he mumbled. As mentioned in an earlier post, friend of Talking about F1 Kunal Shah and his the famous Inside Line F1 Podcast is proud to announce their association with Johnnie Walker's 'never drink and drive' campaign - #JoinThePact. And even better for us F1 fans, the legendary Mika Hakkinen is in India to promote this cause and as a part of the association Kunal is getting direct contact with the Flying Finn - and producing plenty of content for us to enjoy! Here below is the first thing for your perusal - Kunal talks to Mika Hakkinen, in an extended interview live on Firstpost Pole Position. 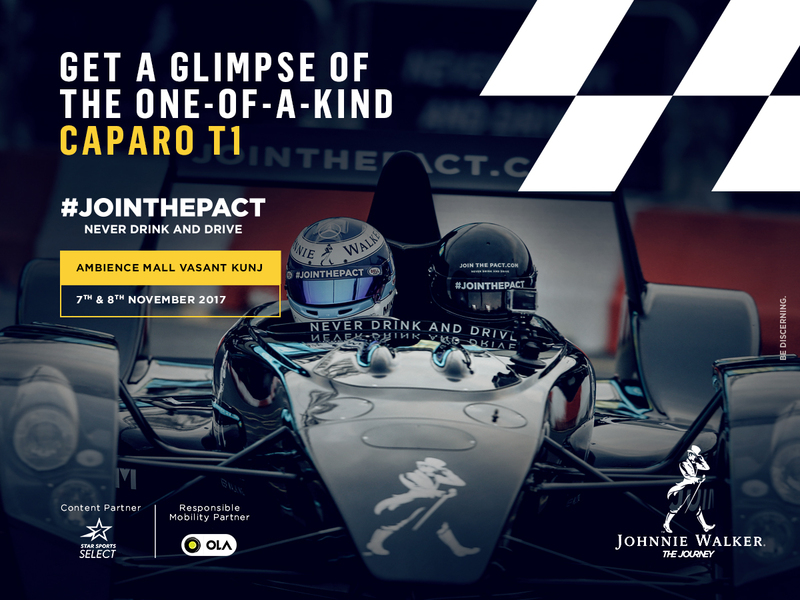 The F1 double world champion gives his view on #JoinThePact, as well as has plenty to say on this latest F1 season. This includes his take on Lewis Hamilton's place in history, Sebastian Vettel and Ferrari's challenge, McLaren and Honda, Fernando Alonso, both Red Bull pilots Max Vertsappen and Daniel Ricciardo, as well as on Mika's countrymen Valtteri Bottas and Kimi Raikkonen. He also looks back on his own racing career. There will be content from each day Mika's spending in India - Friday, Saturday and Sunday - that we'll share on Talking about F1, and there also will be an exclusive podcast. Tomorrow Kunal will be riding in the twin-seater F1-inspired Caparo T1 racing car (see below), so look out for stuff on that too!